The liberation of Mosul offers the international community a unique opportunity to permit the region’s most vulnerable minorities to exercise self-preservation and self-determination. 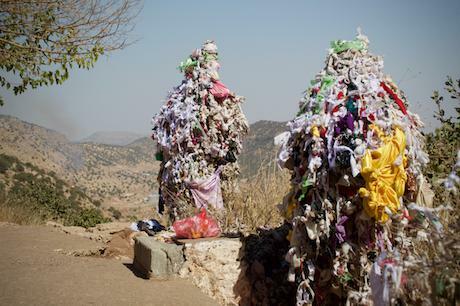 Prayer cloths on Mount Arafat in the Yezidi holy site of Lalish, Kurdistan Region. Picture by Levi Clancy. Creative Commons BY-SA 4.0. The imminent liberation of Mosul offers the international community a unique opportunity. It is an opportunity to take concrete, concerted legal action: to permit the region’s most vulnerable minorities to exercise self-preservation and self-determination by forming an autonomous, pluralistic province in the area known as the Nineveh Plains, their historic homeland in the northwest reaches of Mesopotamia. Such a territorial initiative would, of course, be fraught with dangers and disadvantages, which any viable plan must take into consideration. It must not be a unilateral effort, especially by the United States, or perceived to be such. This must not be another American interventionist, nation-building exercise. Earlier this year, the European Parliament, the Council of Europe, the British Parliament, and the United States Congress all formally recognized that the Islamic State (ISIS) has waged an ongoing campaign of genocide against Christians, Yezidis, and other ethnic minorities in Iraq and Syria. This resounding international designation of Islamic State’s atrocities as genocide is momentous. Under the terms of the United Nations’ Genocide Convention of 1948, states must ‘undertake to prevent and to punish’ genocide. Prevention of genocide can take real, substantial form in the creation of a protected province in the Nineveh Plains, even if that province is federated and remains dependent on Baghdad to some degree. Too often, international interventions in Iraq during the last two decades have lacked clear and consistent strategies for the aftermath of military campaigns. Too often, international interventions in Iraq during the last two decades have lacked clear and consistent strategies for the aftermath of military campaigns and even for the aftermath of humanitarian efforts: what should be done after a dictator is overthrown, or when a hotbed of extremism is reoccupied? How long can millions of refugees subsist in makeshift camps? Liberating Mosul and the Nineveh Plains from the Islamic State’s control affords a crucial window of time and territory in which to be proactive instead of merely reactive. One proactive proposal that is gaining some traction among the coalition powers, both inside and outside of Iraq, is a plan to create an autonomous, democratic, pluralistic province for Iraq’s Christians, Yezidis, and other minorities, within the region that Islamic State has occupied with their self-declared caliphate since the summer of 2014. For Iraq’s Christian and Yezidi minorities, in particular, this proposal might prove to be the one measure that can still spare them from extinction in their ancestral homeland. 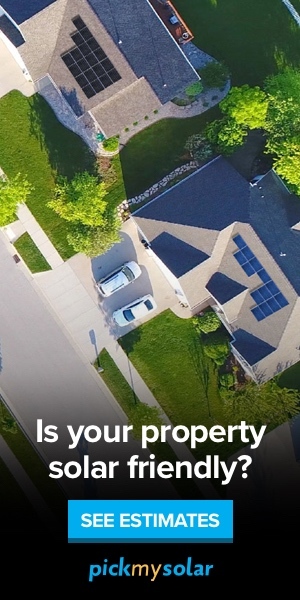 They are under existential threat. As matters stand, they could easily go the way of Iraq’s Jewish population, which was utterly wiped out by ethnic cleansing, exile, and emigration between the 1950s and 1970s —the end of a community that had lived continuously in Mesopotamia for at least 2,500 years. The Nineveh Plains have historically been a fragile mosaic of ethnicities: Assyrian Christians, Chaldean Christians, Syriac Orthodox Christians, Yezidis, Babawat, Kaka’i, Shabak, Sufi, Shi’a and Sunni Muslim tribes. The Islamic State did their best to obliterate this mosaic. Now is the time to frame what is left of that mosaic within secure borders where it can recover some of its former rich and vivid colours. The formation of a secure, self-governing homeland for the ethno-religious minorities of northern Mesopotamia would stand in stark contrast to Islamic State’s monolithic reign and fanatical, autocratic ideology. The territorial initiative would grant an opportunity to repatriate many of the nearly two million refugees who have fled to the relative safe haven of the Kurdistan region in northern Iraq. Even now, members of vulnerable minorities from the Nineveh Plains continue to flee to Kurdistan, Turkey, Syria, and neighbouring regions, but these neighbours cannot support them indefinitely. A perpetual diaspora need not be accepted as inevitable. The Nineveh Plains have historically been a fragile mosaic of ethnicities. It would constitute a new narrative for the region, countering head-on the caliphate’s genocidal narrative of population control and territorial expansion. This would blunt much of Islamic State’s appeal as a strong, geographically expanding enclave for extremists. Beyond neutralizing a central tenet of Islamic State’s apocalyptic message, it would represent a decisive reversal of Islamic State’s violent depredations. The contrast could not be clearer between a repressive caliphate and vigorous pluralism. Ancient Christian communities have endured in this often inhospitable region since the first century CE. There is an apocryphal story of an American soldier who was surprised to see a church in a village of northern Iraq. “When did you people convert to Christianity?” he asked the villagers. “About 2000 years ago,” was their reply. Indeed, the Nineveh Plains are home to the tombs of patriarchs, prophets, and apostles, as well as other sites of biblical significance. Alongside these, the land is dotted with important shrines for Yezidi pilgrimage. The Islamic State has systematically destroyed museums and monuments. We must preserve what is left of the cultural and archaeological heritage in this region of Mesopotamia that is so fundamental for the broader history of civilization. International peace-keeping forces will be indispensable. The Nineveh Plains are rich in natural resources, with vast oil and gas reserves that are largely untapped. Control of these resources is likely to be strongly contested. In the same vein, the international community must also recognize and preempt the potential for further sectarian conflict in the area. At present, various factions, visibly represented by local militias, are united in cooperation against a common foe, but, historically, their relations have not always been so harmonious. Likewise, the international community must recognize and preempt the potential for such a territorial entity to become a prime target for radical Islamists. The Islamic State might be in retreat at the moment, but it leaves a void that other extremists will almost certainly strive to fill. Finally, the political relationship between this hypothetical province and Baghdad would require careful, clear articulation from the beginning — whether it is to be a semi-autonomous province within a federated Iraq, or an independent state. Among the global powers, there may well be little appetite for further subdividing Iraqi territory, but doing nothing in the aftermath of the Islamic State will surely result in continued carving-up of the region. Clear policies and definitive action can prevent further atrocities. Mesopotamia has long been known as the “cradle of civilization”. The international community must prevent it from continuing to be a cradle for regional genocide and international terrorism. Dr. Tyler Fisher is a visiting scholar at Soran University in Iraqi Kurdistan. Prof. Dr. Kamal Kolo directs Soran University’s Scientific Research Centre.